The family-friendly Kefalos Beach Tourist Village is ideal for couples and families of various size and particularly those looking to extend their stay in Paphos. Beautifully designed and decorated apartments and villas both come equipped with a kitchenette with kitchenware allowing you to bed in and make the most of your holiday whilst studios are also bright and breezy sleeping up to three guests. You’ll dine well in Paphos and that’s without even leaving Kefalos Beach Tourist Village with its two restaurants serving fine Mediterranean dishes and international favourites. No need to worry about becoming bored, choose from a wide selection of activities such as archery and tennis, enjoy live entertainment shows and know that your children will have the trip of a lifetime with fun activities at the Kid’s Club and playground. A little something for all the family can be found here for an unforgettable Paphos adventure. 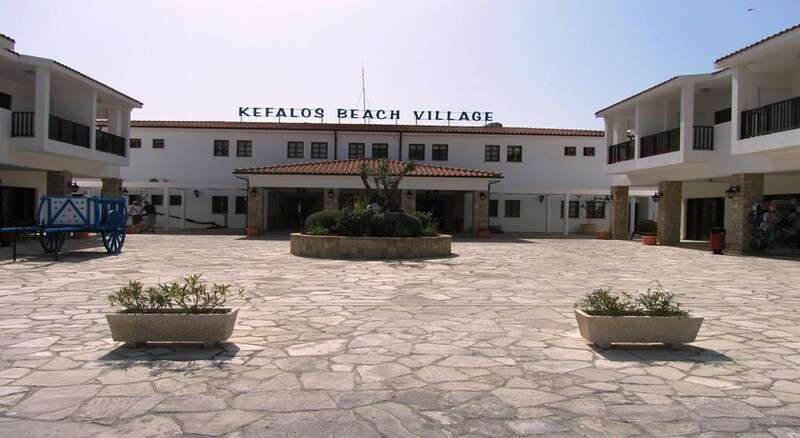 Kefalos Beach Tourist Village is just 18km from Paphos International Airport. Enjoy easy access to the golden sands of Lighthouse beach, which is only 300 meters from the village. The main shopping centre, Kings Avenue Mall, is less than a mile away. Numerous restaurants and bars are conveniently located within less than a mile’s radius from the village. It’s also a perfect place from which to explore Paphos’s rich ancient and medieval history with the Tombs of the Kings less than a mile north and the Paphos Archaeological Park less than a mile south. Kefalos Beach Tourist Village features three types of accommodation, studios, apartments and villas. In either you’ll be provided with all the essentials for your stay; air-conditioning/heating, safe deposit box, private bathroom, wi-fi and more. Most rooms afford a sea view though some have inland views. Each room has been uniquely designed with carefully considered flourishes which enhance the aesthetic. 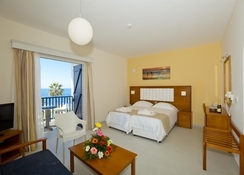 Studios sleep one to three guests and spacious and comfortable, feature a large balcony or terrace by which to soak in that fine Cypriot sun. Apartments are available as one, two or three bedrooms and typically differ from studios by coming with a large living area. Villas will have a kitchenette and large veranda and are perfect for large families and/or extended stays. There are two restaurants and two bars located at Kefalos Beach Tourist Village. The main restaurant, Arodafnousa, caters to tastes both international and those looking for more local Mediterranean flavours. You’ll be able to pick up breakfast here as well as experienced themed cuisine nights at dinner. Sample some gourmet Mediterranean at La Brezza del Mare located on the beach, providing you with excellent views over the Mediterranean Sea. Away from the village, check out the highly rated Dias Zeus, whether its traditional Mediterranean fare, delicious meze or something more international, you’ll be in for a memorable culinary experience. 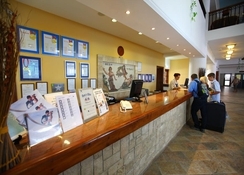 Kefalos Beach Tourist Village has lots of leisure activities on offer. 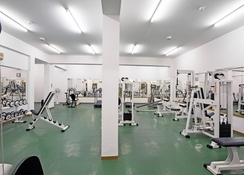 There are both indoor and outdoor swimming pools with sun terraces, on-site fitness centre and sauna, steam room and massage all available from the Health Club. Stay entertained with throughout your time at Kefalos Beach Tourist Village with the village’s entertainment programme which includes live music, Cypriot folklore show, fire show, and activities such as archery and water polo and young ones will love the Kids Club and playground. Visitors who are looking to soak in some history will want to check out the Medieval Castle of Paphos less than a mile away as well as the National History Museum of Paphos. And those who want to cool off and have fun at the same time will love the Water World Waterpark of Paphos, a short taxi ride away.